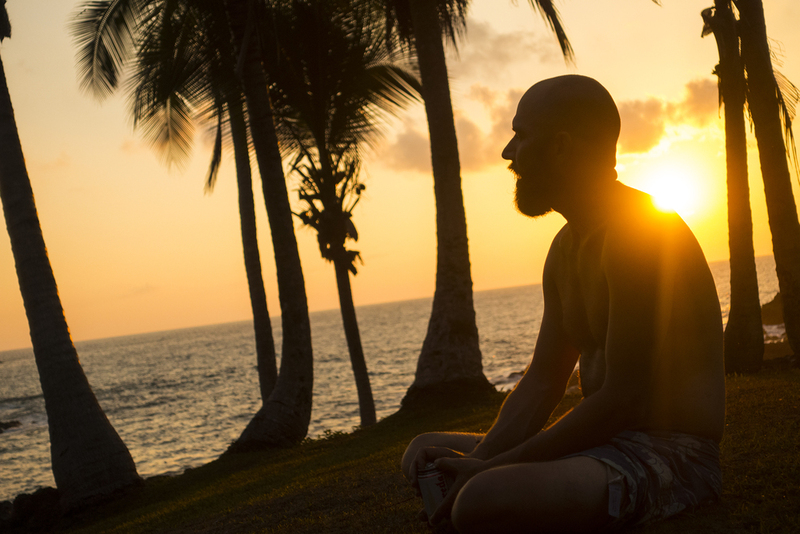 Jason and I knew only that we’d spend about two weeks together in Costa Rica, but the details were fuzzy. We met in San Jose, the capital, and spent two days hatching a plan and catching up. We also spent two hours in a brothel because it seemed like the best place to watch Champions League soccer. Window shopping only. At the recommendation of some hippies in San Jose, our next destination was on the Osa Peninsula. After lengthy bus, taxi, and boat rides we arrived at a sandy hostel on the pacific ocean, sandwiched between one of the world’s most biodiverse wildlife reserves and the manta ray and shark filled waters of the pacific. Their reviews were too good to ignore, though I was hesitant to take a travel tips from people I had so little in common with. Sure enough, Jason and I found ourselves on a permaculture commune five hours walk from the nearest town, surrounded by hula hoops, slack lines, and girls that didn’t shave (no judgement!). But the location was incredible, the jungle hikes verdant and wild, and the fauna abundant. If we ever tired of the hippies, there were always the monkeys, toucans, bats, tapirs, snakes, frogs, and coatis to keep us company. For five days, my only stress was the pressure of deciding if I wanted to read in a hammock, walk in the jungle, or swim in the balmy ocean. Our next stop was Mal Pais, a surf town in the north, which ended up on our itinerary because we befriended an Austrian with a rental car who offered to give us a ride. It was an easy travel day. After a year of 15 hour bus rides in South America, it is refreshing to be in Central America, where you can cross an entire country in one hour or five, depending on which way you drive. We ferried across the gulf of Nicoya, a trip that cost us $10 instead of $30 because the attendant learned I spoke spanish and sheepishly exchanged my ticket. I have nothing against surfers. They’re usually laid back, fun people. But there is a uniformity to them that infects wave-front towns around the world. Apart from the dust, Mal Pais was just like every other surf town I’ve ever visited - chock-full of shops selling billabong board shorts, tank tops with boastful innuendoes, Oakley sunglasses, and surfboard keychains, and bars selling cheap beer and looping the same shot of the same surfer, on the same wave, all day, every day on the TV. We had a nice time trying our luck on the waves nonetheless.